Jon Ferrara, a co-founder of GoldMine, one of the first customer relationship management (CRM) platforms for small- and medium-sized businesses, is back with a new platform for the social media age. Ferrara launched Nimble in 2011 as a way for people to easily organize and track their online relationships wherever they take place: on Twitter, Facebook, LinkedIn, Foursquare and Google Plus. Nimble CEO and founder Jon Ferrara introduces Nimble. Ferrara calls Nimble, which goes for $15 per month per user, a “relationship” management platform that’s intended to work alongside a traditional CRM platform, not necessarily replace it. The system, which emerged from beta testing in 2012, integrates with more than 100 applications — including Google’s Calendar, Mail and Contacts; HootSuite; Evernote; MailChimp; Vertical Response; and QuickBooks, among others — and tracks a user’s interaction with a contact via all the ways that can happen in 2013. Nimble ties in disparate interactions with a contact in one profile and places it at a user’s fingertips, allowing for deeper, more meaningful, efficient business relationships, Ferrara said. Last week, the company updated its platform (to Nimble 3.0) to include a launch screen that surfaces potential contacts in a user’s network that the system “thinks” might be useful people for the user to know. The update also includes a filtering system that presents social conversations from Twitter, LinkedIn and Facebook that Nimble thinks might be good for a user to participate in. CRMs are hot in the real estate space at the moment. In May, Trulia announced it was buying Market Leader Inc., which provides CRM solutions for Century 21 Real Estate and Keller Williams Realty agents, for $355 million. 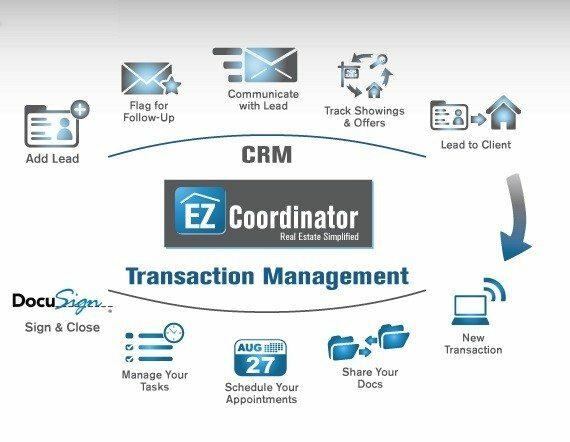 In March, Zillow updated its CRM platform to include branded drip emails and lead-forwarding capability. There have also been a number of fresh faces in the CRM space so far this year. The masterminds behind Market Leader’s CRM released an updated version of their new lead-gen product, Kunversion, earlier this month. Washington, D.C.-based CRM Contactually enhanced its platform in April to help users make introductions and discover new contacts. Readers can connect with Jon Ferrara on Twitter. What CRM are you using and why? Leave your comments below.